Online English Language learning for the K-12 demographic is taking education by storm, especially in China. The sudden popularity could be attributed to the convenience that online learning affords. In China, students have demanding after-school schedules which make it difficult for parents to cart their children back and forth to language institutes. Aside from the obvious convenience of online learning, there are other intrinsic benefits to accelerate young learners' language skills. Video conferencing can be an effective tool for pronunciation and reading practice. Students can connect with teachers and intercultural classmates around the world and model native speaking pronunciation while getting an introduction to western curriculum and learning methods. The combination of video conferencing tools and the vast collections of digital reading materials (Epic!, Reading A-Z) allow for guided reading practice that can be tailored to the students interests and language level. 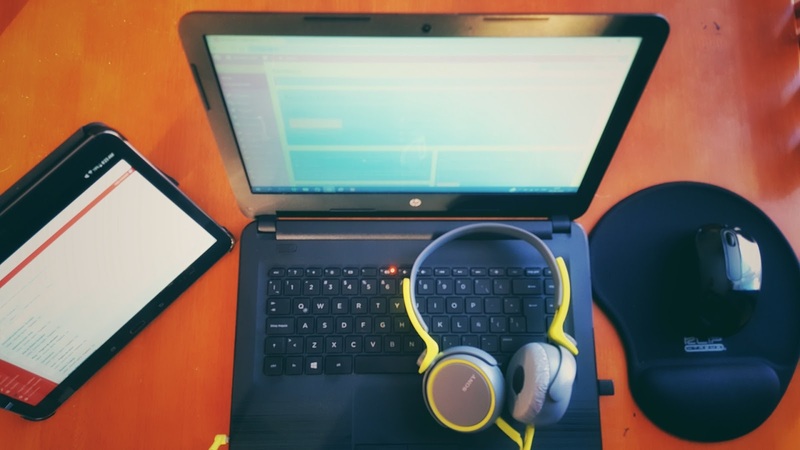 Electronic learning platforms when used with headphones (Zoom, ClassIn, Lifesize) minimize environmental noise and allow for focussed reading practice that may be difficult in group settings. Using these tools teachers are able to use screen sharing, recording tools and annotations to hone in on a particular student's needs for developing vocabulary, reading fluency and comprehension strategies. However, like any new technological trend, parents and children need some time to learn how to maximize the potential for learning. These next few steps can be taken by the parent-child learning team to ensure success with their online class. Successful English learners connect learning to many different contexts. Young learners need to see their online learning as relevant and a part of their offline world. 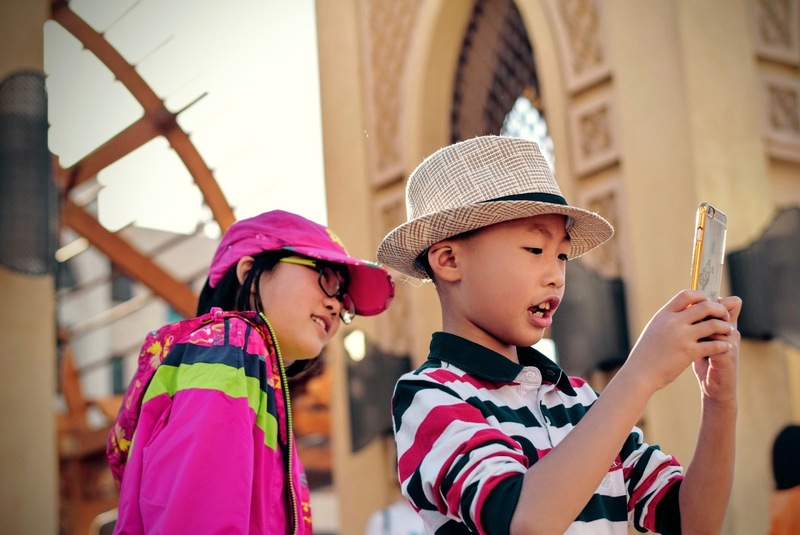 Casually talk to your kids about their online learning in English or Chinese. Tell their teachers, friends and extended family what they are doing. Gently ask them about their favorite part of a book they are reading, a game that they like or a funny vocabulary word. Do not drill them or correct their mistakes. Keep it light and happy! Just like when your child does homework, they need a space where they can easily focus, listen and be heard. Try to avoid a place where there are other people, as this might make them shy and uncomfortable. Avoid hovering over your child during online class time, but make yourself available and close-by. They may need your help with technical issues and might call you--especially their first few classes. They will be more brave and confident if you give them space. Test your internet connection, VPN, headset and software before class. 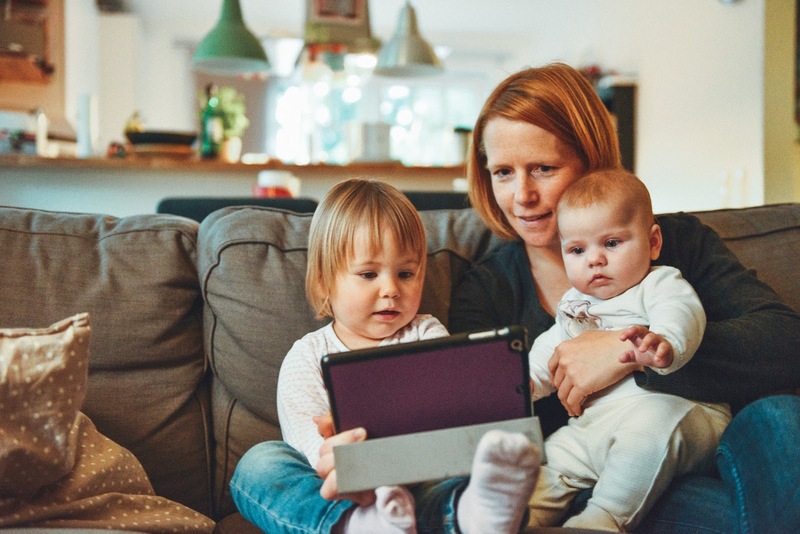 Have your child practice using VOIP software (Skype, WeChat) with a friend or family member to get them familiar with these tools. Model and demonstrate patience and allow some time to get used to this type of learning. Online teachers are trained professionals that realize it takes time for young students to get used to technology. Communicate with your child’s teachers about homework expectations, as well as feel free to communicate any difficulties that your student may be having. Some teachers provide an online communication book, class blog or collaborative document that they ask parents to check regularly. One of the benefits of online learning is that that teachers can record and post the in-class session. Encourage your child to watch the recording of the class for review. One of the goals for online learning is to give students the tools and strategies that can allow them to succeed individually. Building autonomy, or independent learning, takes time and a “growth mindset”. If students make mistakes in their additional language, this is a part of the learning process. In order for students to enjoy the lifelong journey of additional language learning--try to say positive things about your child’s effort or process--never say positive or negative things about them as learners or their language abilities. This will allow them to continually return to class and become lifelong learners who love English! Special Thanks to Cory Jobb for proofreading this article. 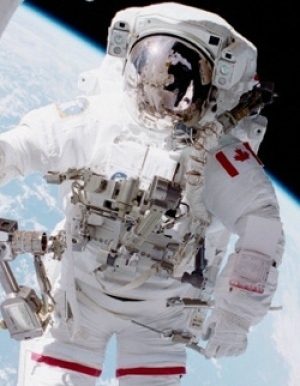 As we prepare for Colonel Chris Hadfield, Canadian Astronaut’s, highly anticipated keynote at Connect Niagara, I thought I would share some of his more salient points and how they apply to edTech. At first, I struggled to see the connection between this highly successful human being and what I do in the classroom. 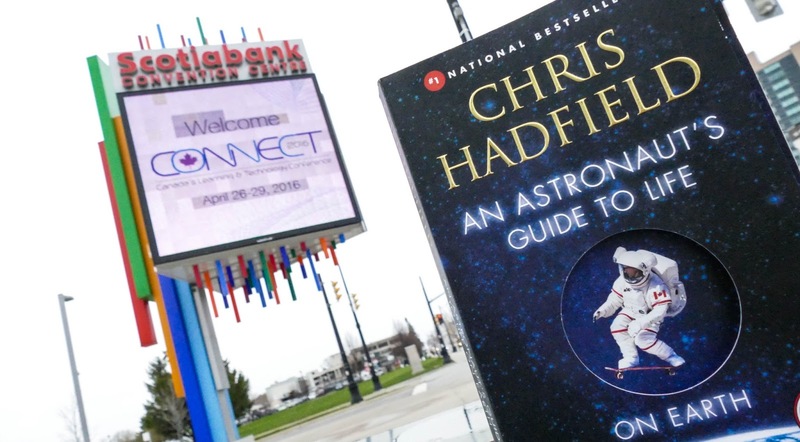 However, while reading Chris Hadfield’s book, An Astronaut’s Guide to Life on Earth, his stories started to emerge as a manual for teaching, learning and living. Bonuses to this book are his depictions of space travel with some breathtaking and cinematic encounters. It's hard to believe that a man who has spent most of his career using the left hemisphere of his brain is equally brilliant with his right. His poetic descriptions of the awesome and feral nature of space show us that visualization—in creative and logistical applications—can be a powerful and effective teacher. 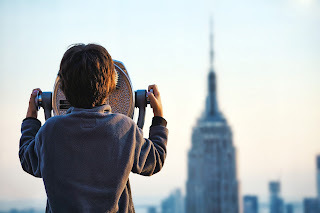 Chris’ advice concerning the adage of visualization is useful for those of us in education. Most educators already know that preparation is integral to our success in both our short and long game. Even with the most diligent preparation and brilliant ideas, our lessons can sometimes come crashing down to earth in a fiery ball of incompetence. Commander Hadfield gracefully points out that some of these failures lie in our misconception of preparedness. He argues that most self-help gurus, coaches, and even teachers are guilty of advocating visualization as the key to being prepared. Most people, he argues, see themselves successfully completing a task in the future and then stop there. Chris warns that visualizing ourselves (or our students) doing an activity or completing a goal is not enough. Visualization is important, but we need to follow that up with a helping of old-fashioned hard work. Some people waste a lot of time fretting over all the things that could go wrong without acting upon it. Chris walks us through a team of astronauts that not only spend months seeing themselves meeting their goal but also tracing their steps backward through the process and methodically preparing themselves. Chris’ über preparedness is also made very real in how he discusses a brush with failure that almost ended his career. For our benefit, Chris rehashes a painful story of how he almost failed a critical instrument exam flight as he was constantly “behind the plane”. He knew his chances of becoming an astronaut before that flight were slim but if he had failed it —or given a re-ride as he puts it — they could quickly become zero. This very candid story may come as a surprise to readers as they try to wrap their heads around how an elite astronaut almost botched his own career. The commander explains that he had grown very use to success and admits that “academic failure was new to him”. For some of us teachers, this may sound similar to Carol Dweck’s growth and fixed mindsets and the danger of labeling students as smart or gifted. For Chris, luckily, the in-flight test adjudicator gave him a pass and chalked it up to a bad day but he never forgave himself for it. From that day on, Chris learned that it’s not enough to rely on your past successes and visualize things going well for you. He prepared for the subsequent tests by actually sitting in the cockpit of the plane and went through the motions in explicit detail, flicking the switches and working through the steps as if he were actually flying. I’m sure some of us while teaching a class have felt very much “behind the plane” at times. Introducing a new set of manipulatives in a math unit or a science lab that involves many steps with the added challenge of classroom management and technology that is not cooperating might leave us a bit winded. Although our careers might not necessarily be dangling on a thread like Chris’ was--there is still some value for us to sweat the small things and change our practices to ensure our lessons run smoothly. The hard work is actually getting in the cockpit before that tricky flight and testing things out. Admittedly, I rarely rehearse lessons in full dress before I start. There are times, however, when I felt that my students might have benefitted more had I worked through the problem with the technology all by myself before inviting 30 little co-pilots to sit next to me. 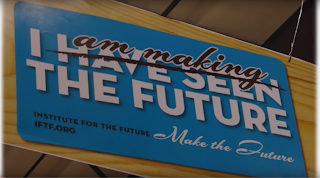 In her acclaimed SXSWedu 2016 keynote, Jane McGonigal critically examines a billboard from a 1930's World Fair that lured people with the promise of "seeing the future". "This is not what a real futurist does," she warned. "A futurist does not see the future; they make the future." Furthermore, she asks the attendees at SXSWEdu to imagine all the conceivable options the future may have in store ten years from now. She chooses ten years because it's close. We can easily envision ourselves ten years in the future: where we will be living, what our friends and family will be up to, where we will be in our careers etc. Instead of seeing the future, Jane invites us to choose the future we want and get started working to make it happen. But how do we forecast future events. Let's walk through Jane's SXSWEdu keynote together, shall we? Next, we need to look at these signals collectively and creatively to make a forecast. Jane implies that forecast is less like a vision or an oracle and more like an action plan to be acknowledged, revised or discarded. She reminds us that "we're not making predictions. We're finding out what's possible." As soon as I created my forecast, I started to criticize and ask questions. Is this the future I really want? How will it change the way we work and learn? Immediately, I needed to consult the sages--I informally presented my forecast to a group of colleagues. The teachers reactions varied, to say the least. We started criticizing the practicalities, the benefits and the disadvantages. One teacher, even passionately argued "Do we really want our students to always be wearing those oculus goggles? Won't it make them dizzy?" That's when I realized: It was all a game. The creative thinking and heightened investigation I managed to involve a few colleagues in, was a rich and playful discussion. Our reactions touched on topics such as the use (or overuse) of technology, the emotional and physical safety of our students and the benefits of professional development. More importantly, we took the time to critically question our classrooms of the future. I walked away from these discussions and found myself reflecting on my present practice in this strange context of an imaginary future I could choose. How could I prepare my students for this future? Which skills would they need to benefit from these not-yet-realized situations? I came to the conclusion that this reflecting and deeper thinking may be the whole point of Jane's game. A game that she is playing on a global scale with people right now. A criticism would be that Jane makes this business of being a futurist sound a little easier than it is. I would add that in order to receive signals to be of value to our lives, we need to be conscientious observers. We need to dig and find time in our busy lives to stay current, active and reflective. Nevertheless, Jane's particular vantage point as a writer, researcher and keynote conqueror (Watch her TEDtalk here) makes it a little easier for her to pick up on signals that are fascinating and noteworthy enough to form the basis for an actionable plan (and a pretty entertaining keynote as well). However, in all the fun of playing the futurist thinking game, I think there is a bigger message to what Jane is saying: "Get involved and take action of your future now". In other words, in order to be a futurist thinker--we need to be a present doer. For a seminar course, "Innovative Practices in the Classroom" at Brock University, I was asked to express what education was to me. The course covered such topics as, authentic assessment, technology implementation, and project based learning to name a few. Here I combine music and live digital painting, using Adobe creative Suite to provide my answer to this rich and complex question. Continue reading below to learn more about my messy creative process. Education is a deeply personal process that can transform students' lives. For this assignment, I was asked to produce an artifact that expresses what education is to me. A symbol of a doorway and a key originally seemed fitting. However, after some additional thought, these two images alone may imply that education is more accessible than I perceive it to be. Eventually, I came to the image of a child peeking through a keyhole. Some of you may make the connection that I see education as a key to a bright future--as valid as this interpretation might be--this old adage seems problematic in our current neo-liberal globalized context. After sketching a rough version, I found the image had the potential to ask more questions than provide answers. Whatever the interpretation may be, the keyhole and the door implies something magical yet to come for the subject in the painting. My original idea was to draw this picture over a podcast-style audio track of interviews, memoirs and my ideas around the topic of education. I had this idea when I created a podcast for another class last year (see below). I experimented by adding a dummy track after the footage of the digital painting was captured. My canned opinions over the image no longer worked because I realized that the painting could have multiple interpretations by itself. I also experimented by adding a voiceover of a simplified reading of Plato’s Allegory of the Cave. Again, it sounded forced and detracted from the process of this image taking shape in front of you. When I found the music, I felt it worked on it’s own and was a great fit for the mood and tempo of the image. This quote was from a text that I read in my first year undergrad course, Plato’s Allegory of the Cave. I remember that I enjoyed the class immensely mainly because the professor was a passionate caricature of what you think a philosophy professor should be. I didn’t do well in that course, but I remembered the cave and the imagery of the slaves in chains staring at shadows on a wall. The image stuck with me. I like the image of light as education or knowledge. It works for me. Maybe because I am a visual learner. Ironically, this was my first time doing this style of video. I learned and made mistakes as I went through the process. I think this emphasizes the idea that true education and learning can be messy. Much like the video I created, it’s an iterative process that calls for plans to change and adapt as we reflect on our process. I wish I could say that this was an ingenious motivation for choosing this type of medium--it’s not. The theme of “making mistakes as you plod along” only struck me as apparent after the video was completed and I was discussing it with friends. Fixed mindsets and language learning share a long and tragic relationship with some learners. As a continuing language learner, I am often dubious about checking the second language box on applications. Quantifying language learning into “can” and “can not” seems problematic. The process of learning a language can be enjoyable and fluency isn’t always the goal for some learners. As educators, we should focus our attention and praise towards the process and not the lofty and problematic goal of perfected fluency. When it comes to a learner’s beliefs most people don't like to feel inadequate, especially when it comes to communicating. Humans crave to be understood by others. Ironically, learning a new language is about experimentation and embracing mistakes. Can implementing purposeful technology help alleviate some of the stress that comes with learning a new language? When I was doing a seminar on languages and brain based learning at Brock University, I showed up early and decided to test out some of my ideas on an unwilling colleague. “Don’t you dare ask me to participate? !” Her quick remark stung but I was not at all surprised. Still, I was hoping for some involvement from a student who worked hard in every other area of school to get top grades. I envisioned my presentation flopping because I failed to engage the head of the class and the presentation hadn’t even started. I looked at her puzzingly. “I hate learning languages,” she elaborated, “I’m stupid when it comes to learning them.” In this particular case, she had worked her keister off in higher education. To prove her academic prowess, she had repetitively won scholarships and tried her best to network and maintain positive relationships with faculty and classmates. In short, she had succeeded in many other areas of learning. Why were languages any different? Since this was Canada, I could only assume that her trauma stemmed from her early experiences in “Core French”. While writing this blog post, I followed up with her and she explained that French was mostly memorising lists of conjugating verbs. According to her, the french teacher did little to use communicative techniques or engage the learners with multiple contexts for the same expectations. What is even more frustrating, is that she had read all of the literature on growth and fixed mindsets and simply did not care. I playfully rebutted by quoting Carol Dweck—literature we had read in previous courses together— to no avail. My friend’s position on language learning was firmly decided. She seemed terrified with the proposition of flubbing through another language class. To put this in terms of language, some learners believes that learning a new language is about a fixed entity like ability. Whereas other’s believe it is about a process. Mercer warns that these mindsets are more of a spectrum than two separate realms. It may be possible for a person to have a fixed mindset when it comes to sports but a growth mindset when it comes to video games. Just as it’s also possible for a person to have a fixed mindset in pronunciation but a growth mindset in memorising new vocabulary. 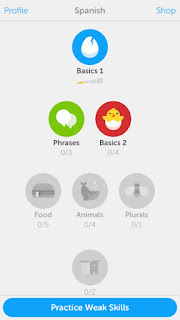 For language learning this all boils down to your progress being mitigated by effort. It’s not a gene. It’s not an innate ability. Incrementalists are people who view learning as more gradual and are able to attribute their mistakes to a lack of effort or practice. Mercer (2006) puts these two types of learners into two different camps—the “fixed mindset language learners” and the “growth mindset language learners”. In her 2006 study she asked 23 English language learners to write about their thoughts on what it takes to learn a new language and 79% of the responses showed a belief that language learning is an innate ability or talent. Mercer goes on to explain that the participants attributed a range of traits to successful language learning. Interestingly enough, she found that culture was also an influence on the students beliefs about language learning. She discovered that the participants from Japan were more likely to attribute shyness—a fixed personality trait—as a hindrance in language learning. Let’s imagine that through careful interventions we could trick ourselves into viewing language learning as actually incremental and not an ability that only a select few possess. I’ve said before that technology is not a cure all for learning. Any technological tool needs to be integrated properly into the learning process. There are some technologies, however, that do an excellent job of “chunking” language learning into manageable bitesize pieces that allow for spaced, repetitive and sequential practice. 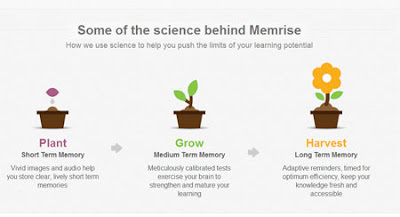 DuoLinguo and Memrise are two flashcard games give the learners a sense of accomplishment by adaptively repeating parts of the language the learner needs more practice with. 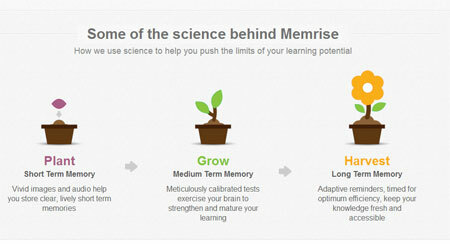 Memrise encourages the learner through the visuals of planting seeds (vocabulary) and growing a garden (phrases). This game-like element allows the learner to have an ongoing visual cue of their progress and can give an odd feeling of satisfaction. In these types of online learning tools, A series of multimodal flashcards are presented to the learner where they are required to select a translation or a picture for the new word. These words are repeated in different contexts: unscrambling sentences, translation exercises and DuoLingo has recently added a speaking portion. All this repetition in different contexts works anchor new vocabulary to your memory while giving you the allusion that practice is what a language learner needs. The load of learning a new language can be overwhelming. To combat this, these tools for deliver content in small daily chunks, set obtainable goals, and give you you a simple visual representation of your progress. The tools are promising for individual language learners who may want to fit the basics into their busy schedules in a fun game-like setting. What I am curious about is how can some of these tools be tweaked and applied to school-age children in a language classroom setting. Similar tools— Quizlet and Studyblue—have been implemented into the language classroom by colleagues. These tools differ because they allow the students or teacher to modify the content by creating their own flashcards, games and quizzes. The ongoing assessment data and progress reports reinforce the idea that language learning is incremental and mistakes should be reviewed, practiced and corrected. Some criticisms might be that the novelty of learning a language this way can quickly were off and that the context is not authentic enough to promote aquistion. The apps seem sort of like super dictionaries that focus mainly on lower-order thinking skills. This is where the careful implementation plan comes in to play. Educators need to consider when and how often to use these tools. It should be considered as just one of many differentiated tools in a teacher’s kit when planning engaging language lessons. An added bonus may be that it inspires individual study strategies that the learner might use at home. Of course, downloading the app to your device does not automatically imbue the learner with the ability to speak the language. Only with time and effort can meaningful learning take hold. Regardless of the use of technology, language teachers should help students realise the value in the daily incremental steps in learning a new language. Educators could also learn from the power of ongoing assessment that these tools utilize. To complement these tools well challenging students to apply their new learning from Memrise or DuoLingo to different contexts, such as a conversation activity with a partner, could be considered as a potential next step. Whatever the technology—the most innovative practice language teachers can harness is carefully worded praise and a desire to help students transpire fixed mindsets about language learning. Dweck, Carol. Mindset: The new psychology of success. Random House, 2006. Mercer, Sarah. Towards an understanding of language learner self-concept. Vol. 12. Springer Science & Business Media, 2011. Teacher, EdTech Consultant, Researcher, Filmmaker Passionate man on a life-long learning journey through the edTech jungle.